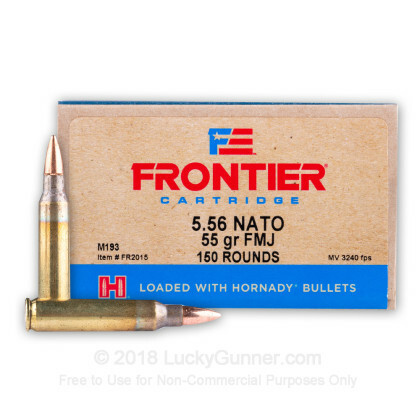 This 5.56 NATO cartridge from Hornady’s Frontier line of ammunition sports a M193 projectile, the standard for field use with the M16A1 rifle. Accordingly, this cartridge’s 55 grain bullet has a lead alloy core and a gilded metal jacket. 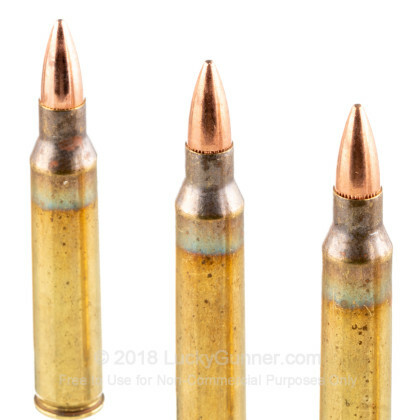 Its jacket protects your rifle’s bore against the accumulation of lead residue that would impact your accuracy, letting you fire for longer in between cleanings. 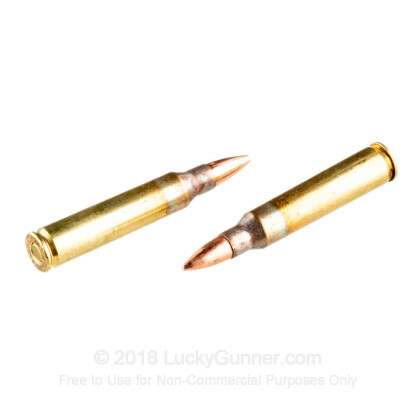 Its full metal jacket additionally enhances this bullet’s penetrative performance, which is further supported by its fast 3,240 fps muzzle velocity. 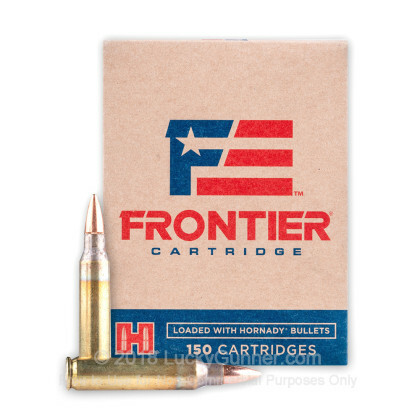 Hornady offers their Frontier line of ammunition as a cost effective means of plinking, target shooting, hunting, and self-defense training. 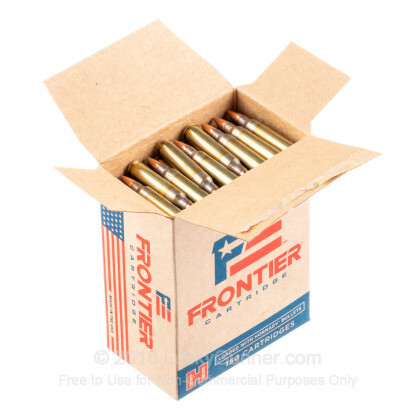 The Nebraskan company implements state of the industry projectile manufacturing techniques and quality control procedures while loading their Frontier cartridges at the Lake City Army Ammunition Plant to take advantage of its greater scale and efficiency. 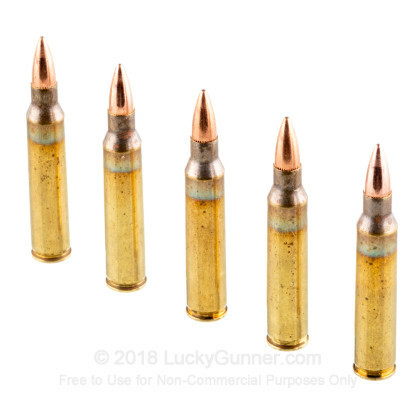 As with all cartridges in this line, this round offers a reloadable brass casing and military grade Boxer primer and propellant.